SMOK Micro One 150 TC Starter Kit has built-in 1900mAh battery and 150W output working wattage. The huge power can supply long-time smoking for you. The 4ml Minos Sub tank contains a 1.8 ohm coil and a 0.3 ohm coil for big cloud. It is a wonderful kit. 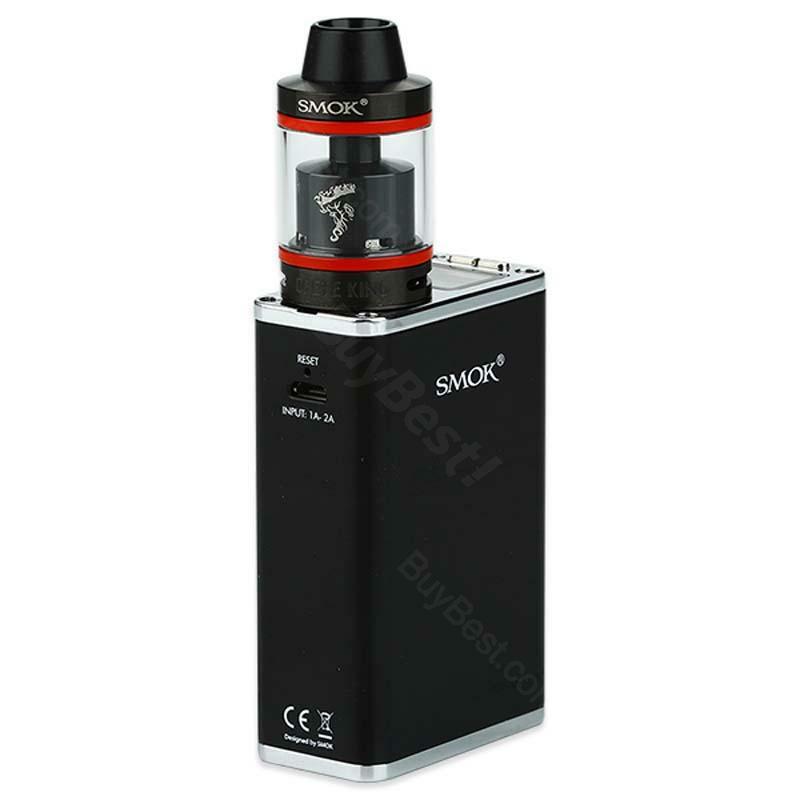 SMOK Micro One 150 TC Starter Kit has built-in 1900mAh battery and 150W output working wattage. The huge power can supply long-time smoking for you. The built-in battery is suitable for many beginners which confused about the choice of battery. Using a built-in battery is more convenient and affordable than buying a 18650 battery. The 4ml Minos Sub tank contains a 1.8-ohm coil and a 0.3-ohm coil for the big cloud. The R150 TC MOD with Minos Sub tank is a perfect combination of SMOK. It suits E-cig beginners well. Please come to our store and choose you to like! • Screw off the drip tip and top cap, then fill juice through 2 slots and close the cap. • Unscrew the atomizer base from the atomizer, then the atomizer head off the base, replace the new head to the base and screw them back onto the tank tube. • Before starting to make sure your hands are clean. • Taking the Minos-RTA M2 deck apart. • Installing the pre-wrapped coil. Insert one end of your coil into the up-side screw, and the other end into the down-side screw. • Cutting a strip of cotton and make sure it's just larger than the coil you built. • Cutting the wick at an angle and make sure it's not too short and not too long. • Press the Power Button 5 times in quick succession to turn the device on. When the device is locked, hold the Power Button for 5s. • When the device is unlocked: by pressing Power Button 5 times to exit the locked mode. Press the Power Button and - button simultaneously to switch between "WATT MODE", "TEMP MODE" and "MEMORY MODE". Press the Power Button and + button simultaneously to switch between "MIN", "SOFT", "NORM", "HARD" and "MAX" draw effects. Press + button and - button simultaneously to switch between "TURN ON" and "TURN OFF". When the device is locked: Press + button and - button simultaneously to show daily vaping time and puff numbers. My fourth R150. Three are still working. My favorite mod. The tank with the rebuildable deck is surprisingly good! Fast delivery, high-quality wipe and a sociable seller. Quality smok R150 TC MOD and 4ml Minos tank. It comes with extra tube and coil,Top refill system, good wipe. The design indeed is sleek and convenient. It built-in 1900mAh battery, the cute size is portable Easy to carry, it is a gift for my best friend, he very like it, Thank you to the seller for the goods.